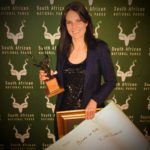 An award-winning television presenter and filmmaker, Bonné de Bod, is well-known for her in-depth reporting on wildlife and environmental issues. For nearly a decade, Bonné has presented in both Afrikaans and English on South African television. Awards include the prestigious SANParks Kudu Award for Best Journalist in 2015 and an ATKV-Mediaveertjie in 2016. 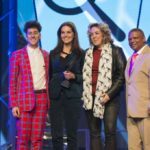 Her Kudu award stated that she received the nod due to her “passionate, balanced reporting on wildlife conservation issues as well as keeping the public updated and informed about environmental issues in South Africa. Please visit her projects listed above to find out more.